Dr. Jane Roberts participated in UC Davis’ Distinguished Lecture Series on April 12th 2017. Her talk was entitled, Biobehavioral Profiles in Infants with Fragile X Syndrome: Emergence of Autism and Anxiety in Fragile X Syndrome. She spoke about characterizing the phenotype of fragile X syndrome, the leading known single-gene cause of autism spectrum disorders. In addition, Dr. Roberts talked about her latest research which focuses on the role of anxiety in autism and their interface across the developmental spectrum. Congratulations to Dr. Abigail Hogan, recipient of the Theodore Tjossem Postdoctoral Travel Award!! 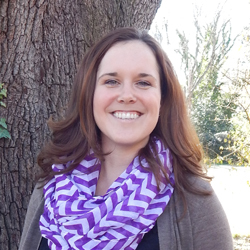 It is our pleasure to announce that Dr. Abigail Hogan is the recipient of the Theodore Tjossem Postdoctoral Travel Award in the amount of $400.00 to attend the 50th Annual Gatlinburg Conference. This conference continues its tradition as one of the premier conferences in the United States for behavioral scientists conducting research in intellectual and related developmental disabilities. Dr. Hogan will be giving a talk on exciting new findings and attending both evening poster sessions on Wednesday, March 8th and Thursday, March 9th . For more information about the Gatlinburg Conference, please refer to the UC Davis website. Dr. Jane Roberts presents at the BSRC Annual Meeting in San Diego, CA. The High Risk Baby Siblings Research Consortium (BSRC) is a group consisting of 25 accomplished scientists, which represent 21 research institutions in the United States, Canada, Israel, and the United Kingdom. At their most recent meeting this October in San Diego CA, Dr. Jane Roberts presented a paper entitled: Autism Features in Infants with Fragile X. It was an honor to be a part of the collaborative effort across many research sites to discover the earliest signs of ASD, its early risk factors, and new methods for early diagnosis. 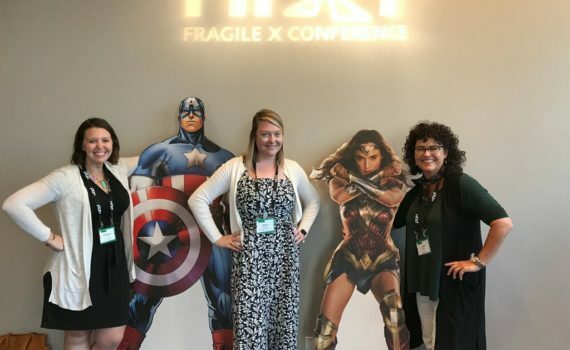 The National Fragile X Foundation awarded Sara Matherly a $400 travel award for the 49th Annual Gatlinburg Conference in San Diego, CA. Her work was entitled: Effect of anxiety disorders on functional daily living skills in young adult males with fragile X syndrome. Congratulations Sara!